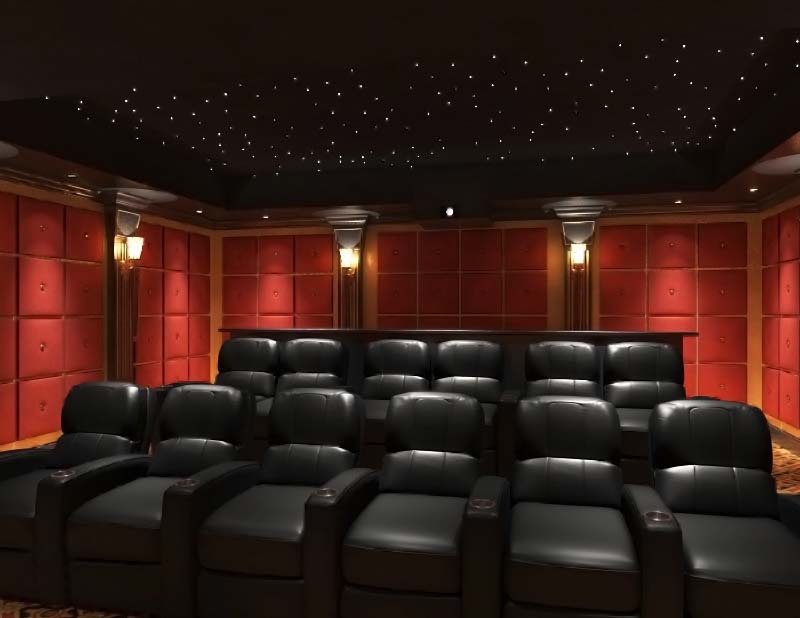 PRIMA Cinema provides your theater with the one feature residential cinemas had been denied, the ability to watch films on their theatrical release date. The PRIMA player is constantly updated with the latest blockbusters, trailers, and their release dates. The moment a film is released in commercial theaters, it’s available in your home theater. With higher than Blu-ray video and digital master theatrical surround sound, it eliminates the one advantage commercial theaters' used to have. In fact, because PRIMA has contracts with both large and midsized studios, it offers smaller independent films that are difficult to find in commercial settings. There aren’t a lot of universal truths in the technology world, but this one stands true: Your A/V equipment is only as good as the source. Think about it, if you ran a standard definition feed to your HD TV, your television that has the ability to create wonderful high resolution images would be limited to standard definition quality. The same is true with your home theater. Imagined you have created your dream home theater and somebody asked if you went with a regular DVD player or Blu-ray. You’d think it was a joke, you have quality equipment, why would you ever reduce your system like that? Surprisingly, the same logic isn’t applied to digital libraries. Devices such as Apple TV and Roku are must haves for streaming Netflix, or catching up on your favorite shows via Hulu, but they’re not intended to be media servers and using them as such is doing your theaters an injustice. A solution such as Kaleidescape Cinema One, which provides Blu-ray quality video, will provide your projector with content necessary to reproduce the types of images one would expect to see from your equipment. You’ve decided to dedicate a room to your viewing experience, therefore it’s important to choose the screen/projector combination that is best for you. Working closely with you and your designer, we’ll select the technology that fits your needs. At HTE, we stand by our work and that’s why we choose quality products. With that said, we have a variety of options for creating, “good”, “”better”, or “best” solutions depending on your budget and viewing preferences. Think of your favorite horror movie, the music intensifying as the victim gets closer, the floor creaking. Directors use these audio details to create suspense and enhance your emotional response. We keep this in mind when designing home theaters, we want you to hear everything from the bombastic explosions to the quiet whispers in your favorite romantic drama the way it was meant to be heard. For those who like to feel their audio, we have the perfect solution. New theater seating can be integrated with your surround sound. These leather recliners actually vibrate according to the bass intensity of the movie. While you may love your surround sound, others might not. That’s why we offer cinema sound proofing. 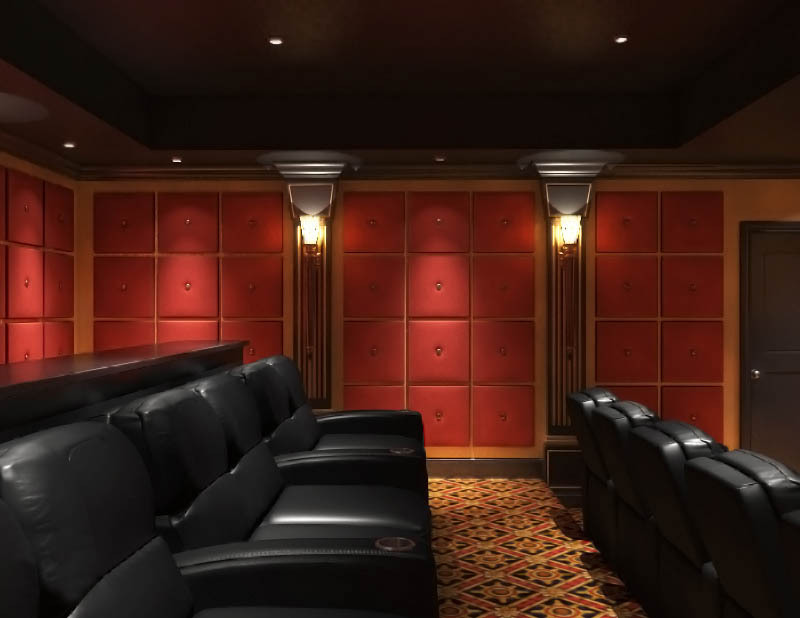 Traditional theater sconces, recessed color changing LEDs, or star panel lighting, each play a major role in creating your cinema’s atmosphere. We’ll work with your designer, blending décor and functionality. Our experts will work closely with you suggesting details such as pathway lighting and dimming options that are often overlooked, but greatly appreciated by our clients. Taking a seat has never been so comfortable. 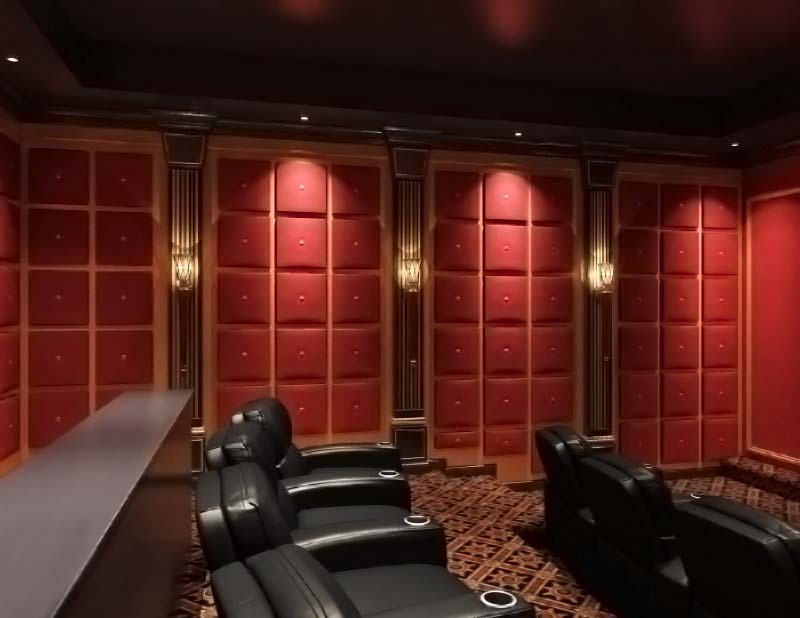 Cineak's line of personal home theater and living room seating allows for an array of customization options. With hundreds of woods, fabrics, and leathers you can design quality seating that perfectly compliments your decor. Cineak has various designs of incliners, recliners, sofas, lounges, arm chairs and more. The 4D motion experience is quickly gaining popularity. In addition to recliners that react to audio, we can integrate seating that responds to D-Box Motion Coding. This emerging technology is uniquely programmed for each movie, television show, and video game providing an enhanced motion experience. With over 900 compatible titles, it’s perfect for the gamer or ultimate fan. To learn more about home theater options, please fill out the form.